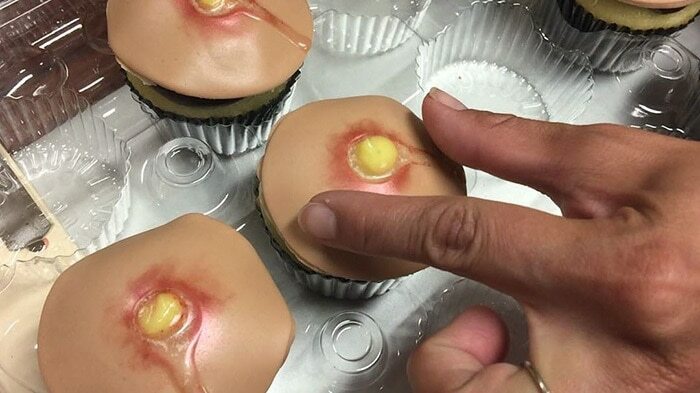 Do you have the stomach to eat one of these pimple cupcakes? 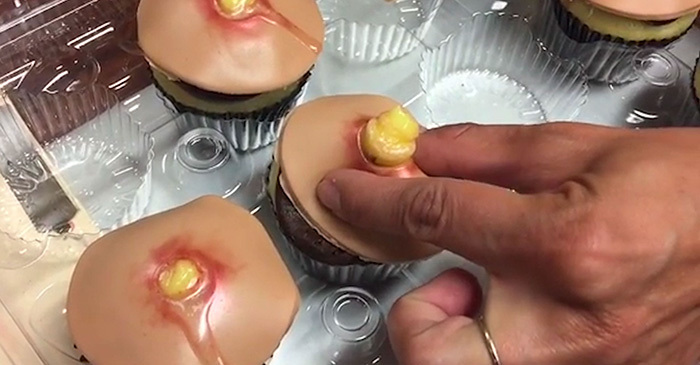 If you have a serious sweet tooth then nothing will probably get in the way of you wolfing down a delicious cupcake, even if it looks like a giant white head filled with pus. If it doesn’t gross you out, squeeze the bright yellow lemon curd custard on top and watch it ooze deliciousness. The acne ridden treats were designed by California bakery, Blessed by Baking. 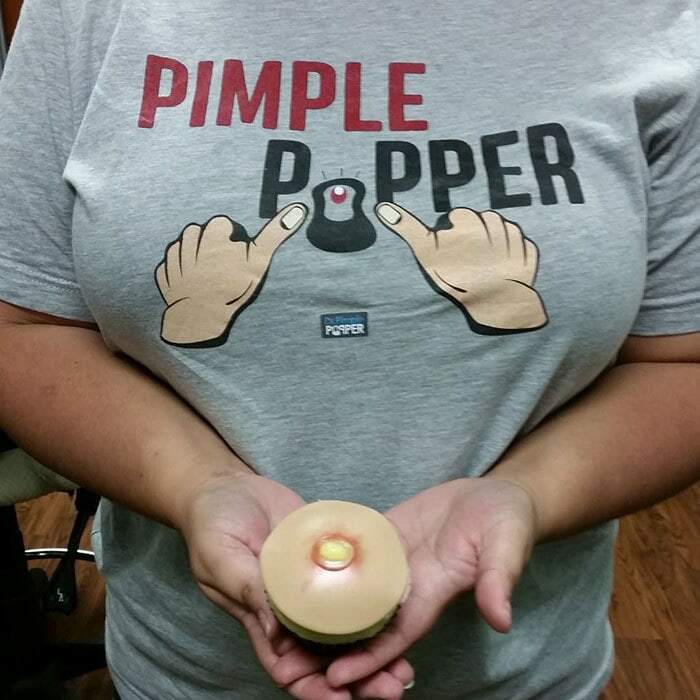 The cupcakes were originally made for popular YouTuber, Dr. Pimple Popper who pops pimples. 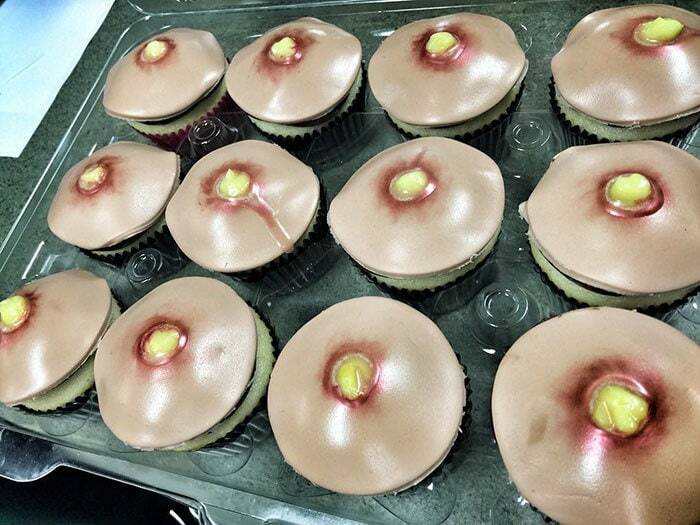 You can check out more of their cupcakes over on Instagram.